1.An Early Help Best Start Family Solutions service (intensive/targeted need), where you are concerned for a child’s wellbeing and the family has asked for support that cannot be addressed by one or more organisation. 2. A Children’s Social Care (CSC) service where you are worried about the safety of a child. Please note: completing this form will take several minutes. You need to ensure you have the child and families details to hand before you start. Please make sure you have consent prior to filling in this form unless it would increase the risk of significant harm to a child in doing so. The referral must always be discussed with the child and their family and consent for the referral should always be sought from those with parental responsibility unless to do so would place the child at further risk of harm. If you are worried about a child and you are unable to contact the parents, this should not stop you from making a referral and you can discuss your concerns in the first instance with your organisation’s designated safeguarding lead and if needed the CSC Front Door Single Point of Contact (SPOC) for a consultation with a Social Worker. If No, what has been done to support the family already? Have you discussed this already with a SPOC Social Worker or an Early Help Consultant? If yes, who did you speak to? Details about the family. In this section please add parents/carers and all household members including siblings. Is this person the primary care holder? Why are you concerned about the child? Reason for Referral. What are you and/or the child and family worried about? Does the family share your worries? Please describe facts including frequency, severity and impact. What are the specific behaviours of the parent/child/young person that may pose a risk to their safety? What is the impact on the child/young person? How is this affecting the child’s health, development and well-being? Provide information in relation to the child’s Education (Attendance, Support, Attainment), Health (Emotional and Physical) and Social Development (Developing positive and healthy relationships) What are you worried will happen if nothing changes? What is working well for this child and in this family? What are the strengths/support systems within the family, the things they do well, the resources within the family, the resources within the family that reduce the risk and the times where risk has been present but the parents/carers have been able to manage/reduce this risk? What needs to happen next to ensure the child is safer and ensure the parents/carers can keep the child safe? What has led to you making this referral? Please tick all that are applicable. Emotional abuse or self harm? 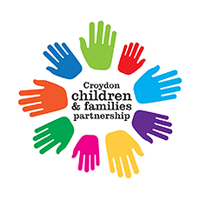 Thank you for submitting a Safeguarding Referral to Croydon’s Single Point of Contact (SPOC).